Something new from Lotus, and it’s not of the usual vehicular variety. News has come about that the brand is stepping into the world of two-wheelers, doing so through a new concern called Lotus Motorcycles, a joint project of German motor racing team Kodewa, tuning firm Holzer Group and car designer Daniel Simon. The company’s very first bike, which is designed by Simon, will be called the Lotus C-01, a hyper bike with integrated racing technology and around 200 hp of power. Carbon, titanium and aerospace quality steel are set to feature strongly in the bike’s construction. No images of the high-tech ride as yet, but the company says that the first visuals are set to be released in the coming weeks. Simon says (ha!) that the colour scheme will have black and gold in it, as a homage to the brand’s iconic racing livery. More in the coming weeks. naked bike? 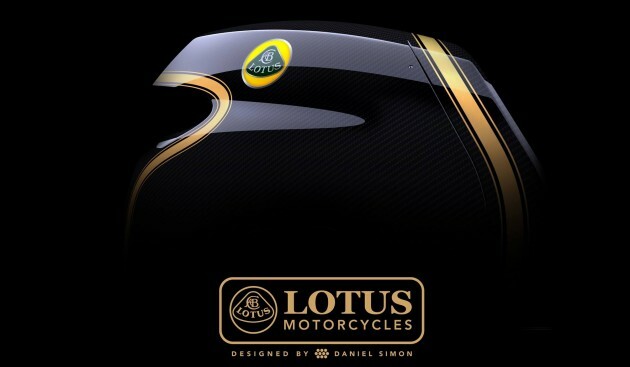 luv the black and gold color.. just admired lotus.. I think that has something to do with their racing team, and their F1 cars use the gold and black paint, a very nice combination IMO. Love naked bike. 200HP on naked naked such a waste of power I think. welcome lotus to the world of 2 wheels. Did you know Lamborghini had produce bike once before? than it stop. Seem your idea make sense. Guy Procter (10 February 2010). “Hoard of Foggy-Petronas FP1 road bikes found in Essex”. Motorclce News. Retrieved 10 September 2011. Petronas joined forces with four-time Superbike World champion Carl Fogarty to form a racing team — Foggy Petronas Racing — to participate in the Superbike World Championship. From 2003 the FIM changed the rules to allow 1000 cc machines (either twins, triples or four-cylinder) to race…. The FP1 was developed under the previous regulations (that limited the engine displacement for 3-cylinder to 900cc), as a result the motorcycle was at a disadvantage from the rest of the field…. please be a new kapcai.. please be a new kapcai..
Aiyo. Car kenot sell n now wanna wack kapcai market? Smart. Lotus has a secret weapon up their sleeves. Superbike = Less modal (cost to build) and investments compared to a supercar. Less modal = Lower pricing = More sales. More sales = More profit = Win. Billions taken, not a single car produced and now bike. Typical mentality.